John N. Campbell is an independent filmmaker who received an MFA degree in Experimental Animation at California Institute of the Arts in 1993 where he studied under Jules Engel, Betzy Bromberg, and Maureen Selwood. In the mid-1990's he worked in the burgeoning field of digital effects at Robert Blalack's Praxis Filmworks studio. He has produced dozens of films and videos many of which have screened at major film festivals including Ann Arbor, Vilo do Conde, Oberhausen, Black Maria, Humboldt and Big Muddy. 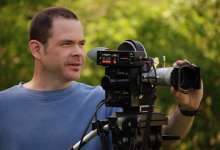 In 2008 he received the award for Best Cinematography at the 46th Ann Arbor Film Festival for his experimental film, "Li: The Patterns of Nature." He received the Director's Choice Award at the 15th Black Maria Film Festival for an experimental animated film, "Form and Void." Known for his use of unusual cinematographic techniques, he often employs time-lapsed photography, microscopy, kirlian imaging and cymatic imaging technology in his films that are described as painterly, inquisitive and visionary. In recent years he has produced documentaries for American public TV. Kodak/Filmcraft Imaging Award for Best Cinematography 46th Ann Arbor Film Festival, Director's Choice Award Black Maria Film Festival, Bronze Apple Nat'l Educational Media Network, Videographer's Award of Distinction, Honorable Mention Humboldt Film Festival, Honorable Mention Rochester International Film Festival, Honorable Mention Northeastern PA Film Festival.